PETER TAYLOR is a science analyst and policy advisor with over 30 years experience as a consultant to environmental NGOs, government departments and agencies, intergovernmental bodies, the European Commission, the European Parliament and the UN. His range of expertise stretches from pollution and accident risk from nuclear operations, chemical pollution of the oceans and atmosphere, wildlife ecology and conservation, to renewable energy strategies and climate change. In addition to his advisory work, he has lectured widely in universities and institutes in Britain, Germany, Sweden, the USA and Japan, influencing the thinking and careers of several leading scientists. After graduating in Natural Sciences at Oxford University (and later returning to study Social Anthropology) he set up and directed the Oxford-based Political Ecology Research Group and pioneered the development of critical scientific review on environmental issues, both in the examination of official policy and in its use as a campaigning tool for legal reforms such as the precautionary principle (he was a leading advocate of this at UN conventions). He has sat on several government commissions and research advisory bodies. From 2000 to 2003 he was a member of the UK Government's National Advisory Group for Community Renewable Energy. In 2000 Taylor set up a new group, Ethos (www.ethos-uk.com), to develop educational programmes using leading-edge computer techniques for visualizing change in the rural landscape. After an extensive review of conservation practice for the British Association of Nature Conservationists, he published Beyond Conservation: a wildland strategy in the spring of 2005, and helped found and organize the Wildland Network for conservationists, foresters and land managers. He is a leading advocate of rewilding policies in nature conservation involving minimal human intervention and the reintroduction of exterminated large mammals, and sits on an advisory group for the management of National Trust and Forestry Commission land in the Lake District. 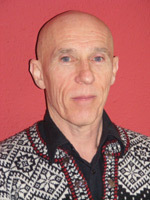 At some time he has been a member of the following professional institutes (reflecting his work and interests at different times): the Institute of Biology, the British Ecological Society, the Society for Radiological Protection, and the International Union of Radio-ecologists (at times on the editorial board of the Journal of Radioecology). During his work on marine pollution and hazardous industries he both critically assessed and utilized computer models of complex marine and atmospheric pathways. He is ideally qualified to review and synthesize climate science across many disciplines, taking a broad and independent view with an unparalleled insight into the workings of science and the evolution of policy behind the scenes of public debate and thus to make recommendations that respect the essentials of social as well as environmental sustainability.